Nestlé announced the creation of the Nestlé Institute of Packaging Sciences, dedicated to the discovery and development of functional, safe and environmentally friendly packaging solutions. This is a step further to achieve the Company’s commitment to make 100% of its packaging recyclable or reusable by 2025. 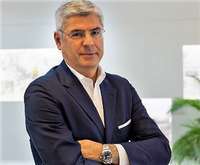 Nestlé Ceo Mark Schneider said, "We want to be a leader in developing the most sustainable packaging solutions for our food and beverage products. To achieve this, we are enhancing our research capabilities to develop new packaging materials and solutions. Through this, we hope to address the growing packaging waste problem, in particular plastics. We aim to minimize our impact on the natural environment while safely delivering to our consumers healthier and tastier products". The Nestlé Institute of Packaging Sciences, which is part of Nestlé’s global research organization, will be located in Lausanne, Switzerland. It will employ around 50 people and include a state-of-the-art laboratory complex as well as facilities for rapid prototyping.